Enjoy the best inspirational, motivational, positive, funny and famous quotes by Alvin R. Dyer. Use words and picture quotations to push forward and inspire you keep going in life! 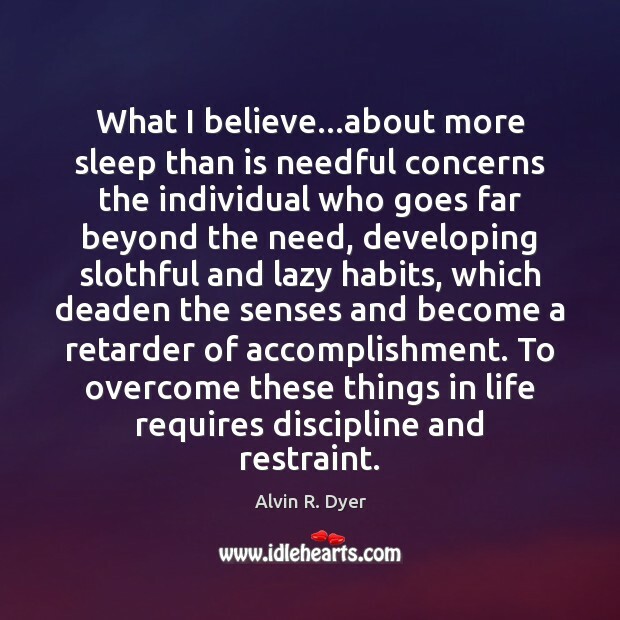 What I believe...about more sleep than is needful concerns the individual who goes far beyond the need, developing slothful and lazy habits, which deaden the senses and become a retarder of accomplishment. To overcome these things in life requires discipline and restraint. 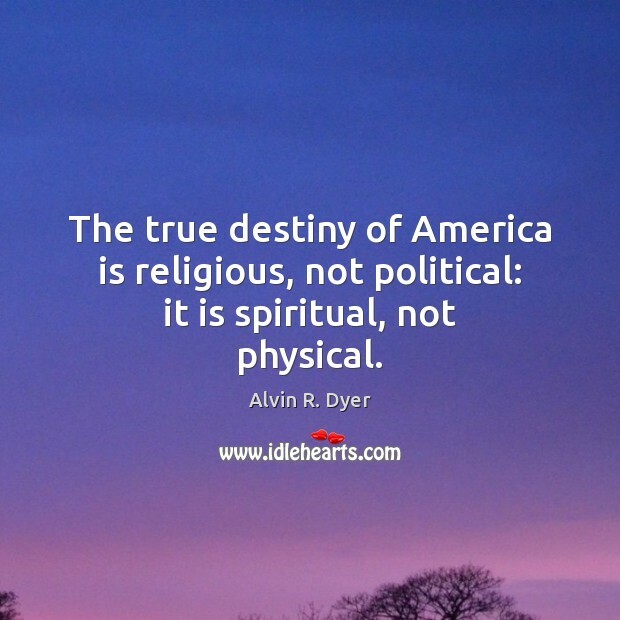 The true destiny of America is religious, not political: it is spiritual, not physical.